Bangalore, Sep 16:Agrahara Village connecting Bovipalya Village, Hollywood Town, Swiss Town and part of Sadahalli Village fully donated by a NRI Philanthropist, Mr. Ronald Colaco (pronounced in Kannada as ’Co-Ia-so’) Your publishing this article might motivate good number of corporatesand other philanthropists to come forward in improving various infrastructures in our society without always having to depend on the Government. Colaco has stated in his speech that he has only tried to repay part of his debt to the Society that he has gained from. 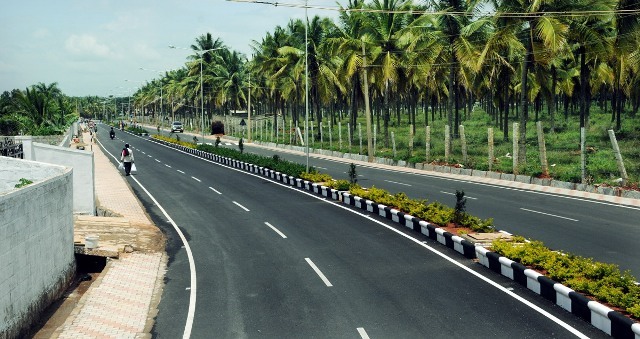 Chief Minister Sadananda Gowda inaugurated the 2.2 km long widened and redeveloped road built in conformity with global standards and donated by NRI businessman and philanthropist Ronald Colaco in Bangalore on NH 7 near Bangalore International Airport. The road is built at a cost of Rs 4.4 crore, apart from Ronald Colaco donating his own commercial land for the purpose with a market value of nearly Rs. 7.5 crores. 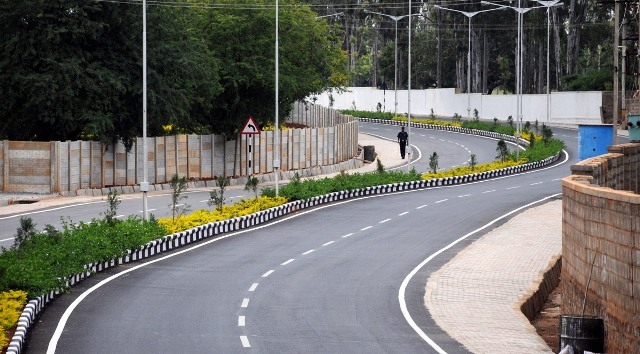 It covers villages like Sadahalli, Navaratna Agrahara and Bovipallya Village and also connects the residential townships of Hollywood and Swiss Townships. This road will benefit about 155 families of Navarathna and Bovipallya villages, about 50 existing and eventually 260 families of Hollywood Town and 60 and eventually 750 families of Swiss Township. The road built to conform to global standards includes a central median, storm water drain and provisions for conduits all along and across the road on important junctions with necessary chambers to avoid any digging of the road in future for any utility work, if needed. If the government agencies, BDA/Corporation also follow this practice with proper plan, taking into account future developments as and when the layouts are created, hundreds of crores of amount can be saved to the exchequer avoiding all sorts of road diggings and repairs each time a house or building comes up requiring utility connections (water, electricity, telephone, optic fiber or sewage). 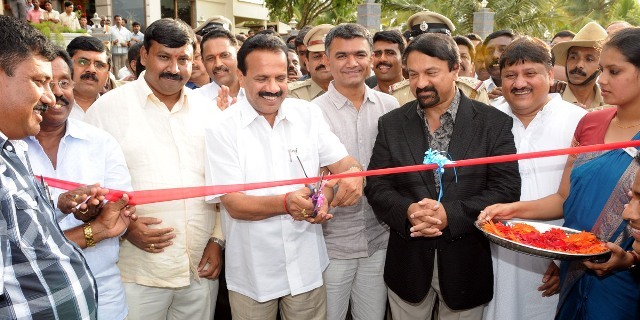 Inaugurating the newly developed road Chief Minister Sadananda Gowda pointed out that these days when people are bent upon accumulating more and more wealth it is gratifying to come across a person like Ronald Colaco who finds pleasure in giving back to the society from which he has gained. “Colaco has reduced the burden of the government by carrying out the work which the government should have done. He has set a good precedent for others to follow”, Sadananda Gowda said. He also called upon other people to come forward to undertake similar work as done by Colaco, which is beneficial to the society at large. He also pointed out that Colaco has extended his generosity to people irrespective of caste, creed or religion and he is a good example of our unity in diversity. The Chief Minister also said that this was his first stint in power and that he was treading cautiously in every step he takes. Krishna Bairegowda, MLA of Byatarayanapura constituency, who presided over the function, thanked Ronald Colaco for his generosity in providing an international standard road to the people of the villages. 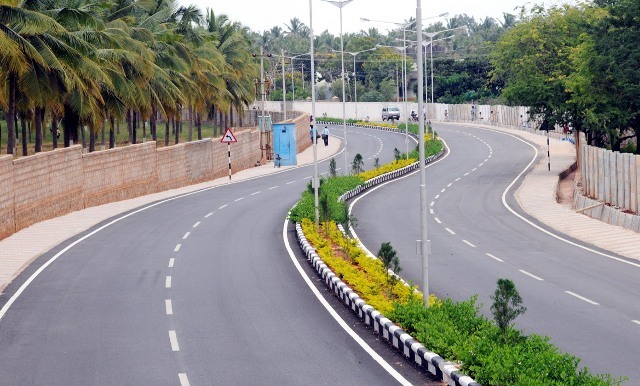 He said Colaco has done this road with his own interest without anyone asking for it and said government should follow in the footsteps of what Colaco has provided for in this newly developed road. Speaking on the occasion Ronald Colaco said “it is nice to get honoured with garland and peta for whatever little I have done here. However, if some people come forward to undertake any public work which may benefit the society in general, it will make me the happiest person”. He also said that he had taken a commitment to donate some part of his earning for the betterment of the society and what he does is keeping in tune with that promise he had undertaken long ago. Prof Radhakrishna former Principal of Sheshadripuram College and teacher of Colaco pointed out that he is pleased to see the good work done by the Colaco Couple in the past few decades. Agrahara Village connecting Bovipalya Village, Hollywood Town, Swiss Town and part of Sadahalli Village fully donated by a NRI Philanthropist, Mr. Ronald Colaco (pronounced in Kannada as ’Co-Ia-so’) Your publishing this article might motivate good number of corporatesand other philanthropists to come forward in improving various infrastructures in our society without always having to depend on the Government. 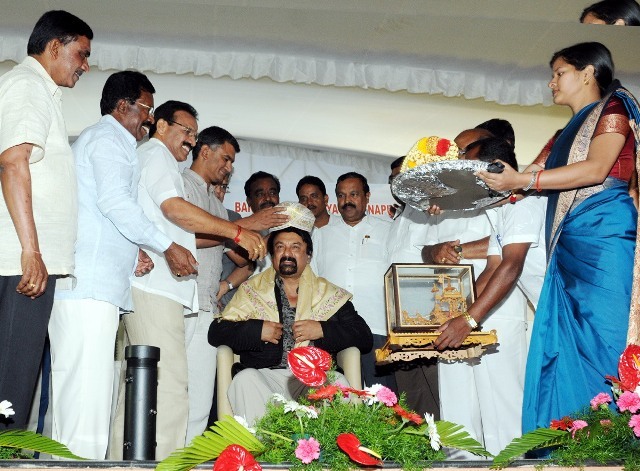 Colaco has stated in his speech that he has only tried to repay part of his debt to the Society that he has gained from.